Most marketers are facing constant scrutiny regarding their performance and contribution. Very few, however, are responding to it in a way that inspires confidence. The 2015 Marketing Performance Management (MPM) Benchmark Study: A Diagnosis and Prescription for Marketing Performance Management, measured that pressure from the C-suite, finding that 83% of survey participants feel it. But the way marketing organizations respond to that pressure differs significantly, and those differences are defining. 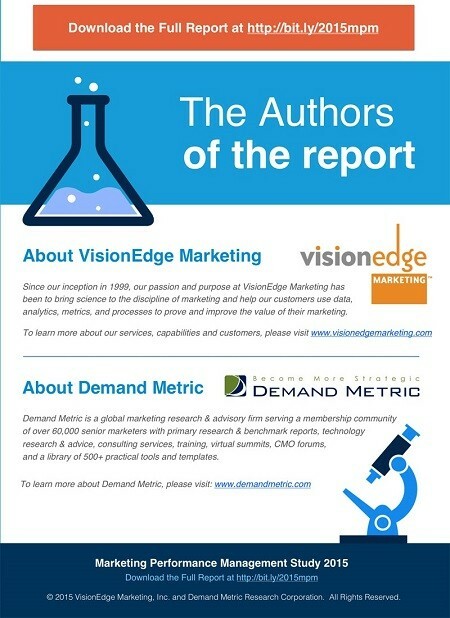 The The 14th annual MPM study study, conducted by VisionEdge Marketing and Demand Metric, highlights how some marketing organizations keep their seat at the corporate leadership table while others earn even greater credibility and influence. The research, capturing input from 374 respondents, provides insights on performance measurement as well as management challenges and best-practices. Just over 20% of marketers earned the highest grade, an A. Approximately half of the marketers earned a C or lower. The alignment of Marketing to business outcomes that matter to the C-suite and the associated metrics. MPM is important enough to warrant a plan: Nearly twice as many BIC marketing organizations have a performance management plan compared with their “Laggard” colleagues. BIC Marketers aspire to serve as Centers of Excellence (CoE): The BIC group is five times more likely to operate as a CoE than are Laggards. Business acumen: The BIC group is two times more likely to have knowledge of the core business. Customer knowledge: The BIC group is five times more likely to use data in an effort to understand and market to customers. For example, only 10%t of the Laggards claim to effectively understand the customer experience based on data, compared with nearly 50% of the BIC group. 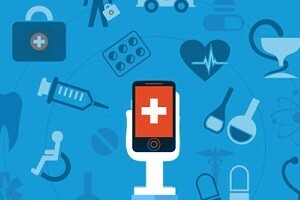 Utilization of data: Although many marketing organizations have access to data and analytics, the real difference is in usage. Compared with the Laggards, the BIC Group is nearly two times more likely to use data and analytics to make strategic decisions and recommendations. Jerry Rackley is chief analyst at Demand Metric, a marketing advisory firm. Jerry brings over three decades of international marketing, media relations, and corporate communications expertise to each engagement.